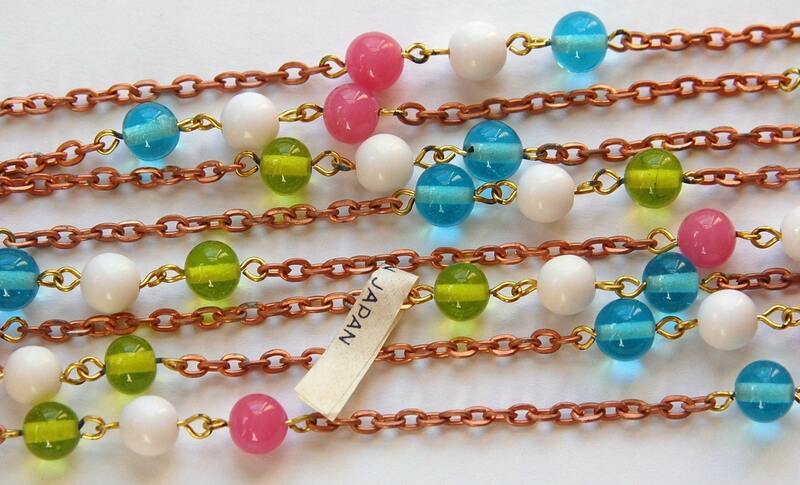 This is a vintage glass beaded chain that was made in Japan. The beads are done in white, pink opal like, light blue, and green. These are linked with copper colored links. Some of these links do show some oxidation. The beads measure 8mm. You will receive 1 foot per lot. If you would like a longer length please convo for a reserved listing. Just as described. beautiful!!! Quick shipping Thanks so much!! Can't wait to create with this chain... super super fast shipping from seller. Perfect.